Little White Lies magazine is all about movies. Since everyone loves watching films, Little White Lies takes you further beyond just watching a film. 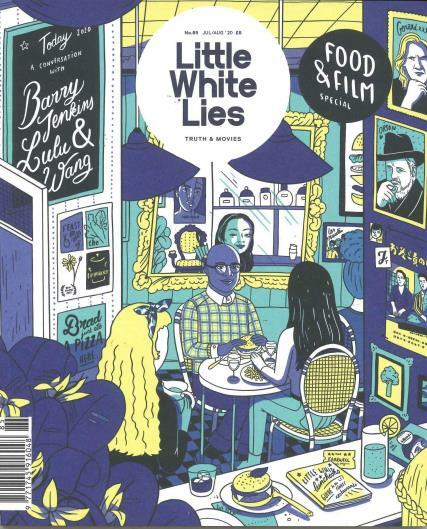 If you enjoy engaging in everything revolving around the latest movies, then you need to give Little White Lies a try. Buy a single copy or subscription to Little White Lies magazine. Lies Little White was first published back in 2005 and is released bi-monthly. The magazine is fully committed to celebrating great movies and the amazing people behind the scenes. Little White Lies is so passionate about movies that they have made it their mission to reformat the debate surrounding movies. Transforming the narrative into a comprehensive and informative magazine. Which brings you everything you could want to know about movies. If you want to know everything related to the latest movies such as reviews, interviews, and features. Then Little White Lies is one of the most respected and beloved magazines for movie lovers. This magazine passionately takes the entire experience of movies, expands on it. The magazine has a marvellous design, illustration and journalism. It also features in-depth reviews and even a ranking system. Which details the different aspects of the movie-going experience. It strays from the typical cinema related magazine by keeping their focus on the truth and passion that is shared by both the movie creators and enthusiasts alike. However, movies don’t always occur in the cinema, as many movies are now created for the online community as well, and therefore Little White Lies tries to encompass the world of film at large while not simply giving their entire spotlight on the big-budget Hollywood productions. fantastic film journal with off the beaten track articles, unusual layout and it smells nice.